Arlington National Cemetery is an enduring tribute to those who’ve dedicated their lives to defending the ideals of our nation. A visit here will leave an indelible impression on your spirit. 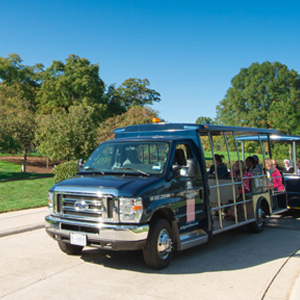 Tours will operate from 8:30 a.m. – 4 p.m. Monday through Sunday. 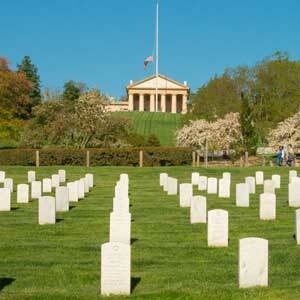 buy MILITARY tickets buy MILITARY tickets *Pricing for active Military includes up to 4 family members. Pricing for Veterans includes one guest. October 1 - March 31 The guard is changed every hour on the hour. April 1 - September 30 The guard is changed every half hour. Handicap accessible vehicles and assisted listening devices available upon request. Handicapped plus one guest ride free with valid government issued ID. During the last 30 years, Historic Tours of America has educated hundreds of cast members and tour guides about the history of Washington D.C. 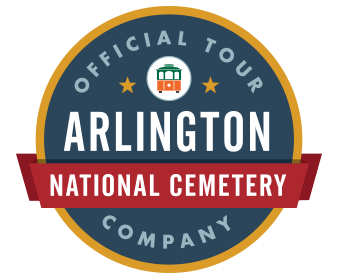 It is truly an honor to be the official tour operator of Arlington National Cemetery and you won’t find a more dedicated staff of tour guides in the Nation’s Capital. Before, during, and after your tour, we’ll be available to answer questions and share some of the most interesting details of this national landmark. The Tomb of the Unknown Soldier is guarded 24/7/365 by volunteer Sentinels from the 3rd U.S. Infantry Regiment headquartered at Fort Myer, VA. Everyday at the top of the hour, a special ceremony is conducted to honor all American service members who are “Known But to God.” During the summer months, the ceremony is conducted on the half hour. This is one of seven stops on the guided tour and is definitely a must see for anyone visiting Washington D.C.
Touring historic landmarks is at the top of everyone’s list of things to do in Washington D.C. while on vacation. The National Mall has an amazing array of monuments to visit; but it’s definitely not the only place to experience the history of our country. 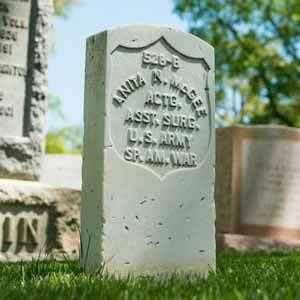 Home to 30 different memorials and monuments, Arlington National Cemetery is an enduring tribute to the men and women who have served in the armed forces.